If you dread the “Paper or plastic?” question every blasted time you go to the grocery store, or even if you’re set in your preference and reply automatically, poet John Yau offers another way of looking at that dry debate. Environmental concerns aside, what would you choose to carry your eggs to the car: the humdrum descendant of trees or a bag with past lives as numerous as Shirley MacLaine’s? Clearly Yau has departed planet Earth and has taken up residence in a wonderland where plastic recycling is the domain of poets, not chemical engineers. In real life, plastic bags are made from oil and later recycled to make everything from playground equipment to building materials. “Confessions of a Recycled Shopping Bag” reverses the process: the plastic bag is the end point of multiple and trippy transformations. With images as silly and startling as a domesticated pink bubble, the poem has what George Orwell (describing Edward Lear) once called an “amiable lunacy”; or what I’d call a cross between Cole Porter and Demitri Martin: Porter’s verbal gymnastics and Martin‘s ear for the absurd. Fun and absurdity aside, the poem makes a sly statement about consumerism, our unremitting need for dispensable products and dispensable product replacements when the dispensable products become useless. Why was effort and energy expended to create a purple polyethylene pony? Who needs one of those anyway? “Recycled” puts a nice environmental spin on what is unnecessary to life and harmful to the planet. Even the one living organism in the poem, the pleasant red colleague, sounds like someone who doesn’t do essential work, a paper-pusher, a yes-woman. It’s as if Porter’s “You’re the Top” has been re-written as a paean to the lowest of the low. 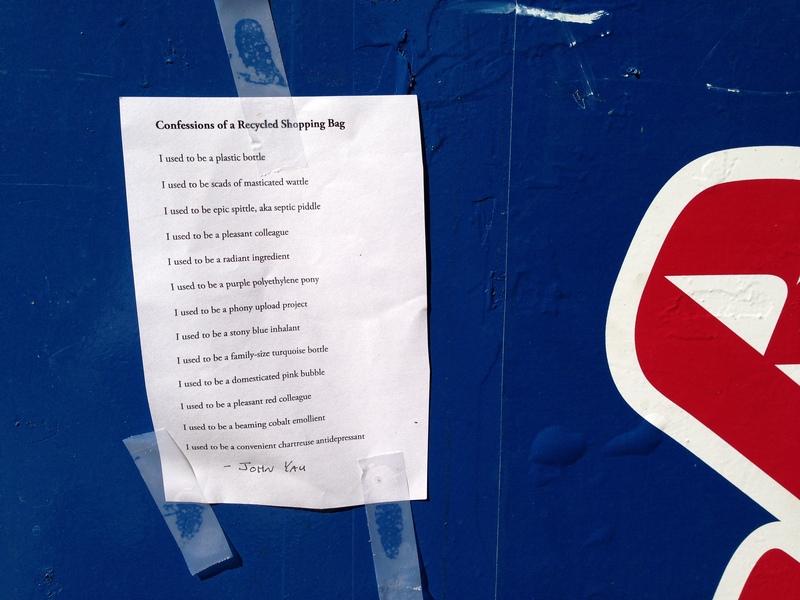 I taped “Confessions” to the side of a dumpster in Ft. Lauderdale, Florida. Florida, home to the largest number of retirees in the country and the fourth highest population of immigrants, is a fitting spot for a riff on past lives and second chances, just the place to go if you want to reinvent yourself or just decompose. 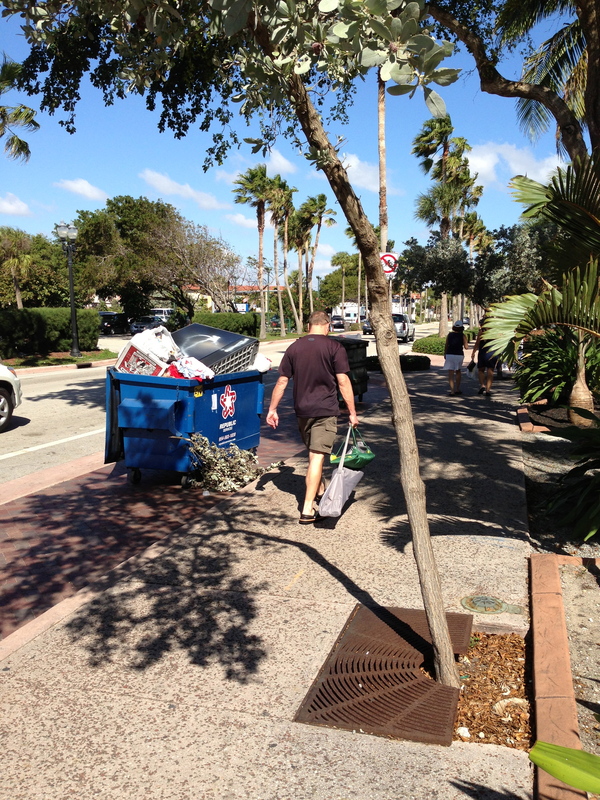 On top of the dumpster was an enormous television, a pile of men’s underwear, and an empty pizza box. Perhaps one owner discarded all three, having consumed the pizza, outgrown his underwear and upgraded to a flat screen. Maybe Yau will come to the rescue and recycle these discards with the same “amiable lunacy” he recycled the plastic bottle. 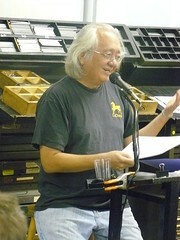 Poet John Yau was born in 1950 in Massachusetts a year after his parents emigrated from China. After studying at Boston University, he graduated from Bard College and got his MFA from Brooklyn College. His poetry has earned him multiple awards and grants, including one from the French government that made him a chevalier (a sort of knight). He’s taught at universities across the country and also works as an art critic and curator. For many years he was the arts editor of The Brooklyn Rail, and now edits Hyperallergic Weekend. He lives in New York City. *Another lover of nonsense, Lewis Carroll, invented word ladder puzzles.